Have you heard about NBDA here in Oklahoma? The National Black Deaf Advocates or NBDA was established in 1892 and Oklahoma was recently in news because of Claudia Gordon. She is the first deaf black female attorney in the United States. NBDA has worked tirelessly to represent the black deaf community across the United States. Want to become a hearing aid specialist? Prepare for the hearing aid specialist licensing exam here in Oklahoma and become a licensed professional in 3 to 6 months depending on your speed. You can choose to complete this program as fast or as slow as you want. Hearing loss is one of the most common ailments falling just behind arthritis and heart disease. The advancement in hearing technology makes it easy to enjoy everyday situation when you are suffering from hearing loss. The best treatment for hard-of-hearing people is the use of hearing aids. Investing in hearing aid is a significant move as you are investing in your health. 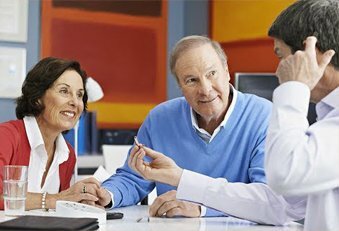 As hearing loss is an ongoing condition, therefore, it is important to get in touch with a professional hearing aid specialist. By passing the hearing aid specialist licensing exam here in Oklahoma, you can start working as a licensed professional. Various retailers are coming up with expansion plans and need licensed HAS to fill in the vacancies they are creating. By passing the exam, you can choose a career that guarantees a great earning potential along with a stable job market. Hearing technology can be simple for some people yet complex for others. This is when people need a licensed HAS to find a solution for them. If you want a fulfilling career that pays well, pass the International Licensing Exam (ILE) administered by the International Hearing Society (IHS). It is easy to prepare for the exam in about 3 to 6 months. Yes, that’s true. Now there’s no need to spend 2 years or thousands of dollars while taking admission in an accredited university. The Hearing Aid Academy prepares you for the ILE in just 3 months. This 100% online self-paced education program is spread over 31 modules. You need to pass the exam testing your knowledge before moving on to the next module. The American Speech Language Hearing Association is responsible for overseeing the licensing requirements of the hearing aid specialists around the country. This is when Hearing Aid Academy will help you know more about the hearing aid specialist licensing in Oklahoma. So are you prepared to start a career as a Hearing Aid Specialist here in Oklahoma? Hearing Aid Academy offers the most advanced and comprehensive 100% online education program. Look at some benefits offered by the Hearing Aid Academy. Have you been thinking about going to college to enhance your knowledge but often choose not to owing to professional commitments? Well, if you plan to change your career and enjoy a career that comes with great earning potential, this is for you. The Hearing Aid Academy online education program makes it easy to learn at any time anywhere. The 100% online curriculum comes with the flexibility to learn according to your convenience. With a working internet connection and a laptop, you can study while traveling or whenever you get time during the day or night. So plan your day and schedule your learning sessions to complete the course within 3 to 6 months. Want a Rich Learning Experience? Hearing Aid Academy’s 100% online self-paced program offers a rich learning experience to its students. Unlike any other program, this study program is professionally designed by hearing aid specialist having more than three decades of real-life experience working as HAS. The program offers a turnkey solution that is easy to understand and learn. The program is spread over 100 hours of video training that consists of 31 modules. This innovative online education program to prepare for hearing aid specialist licensing exam here in Oklahoma engage all type of learners and is designed with ease of use and flexibility. Looking for an Affordable Program? As compared to traditional colleges where you need to pay approximately $48,000 for a two-year course, the Hearing Aid Academy’s online program is effectively priced. The payments start as low as $199 per month and financial assistance is also provided to students who qualify. This is the most comprehensive program available online 24/7. The academy provides specialized education targeted to help students pass the hearing aid specialist licensing exam here in Oklahoma. This justifies the low cost. We are proud of high success rate and help you pas the licensing exam in less than 12 weeks. While you need to invest two years at an accredited university or college to become a graduate, you can complete the specialized online course within 3 to 6 months. This is a self-paced program which can be studied anywhere anytime depending on your pace. If you are unhappy with your present job and want to change your career, this is the right time. Prepare for the hearing aid specialist licensing exam here in Oklahoma and become a licensed hearing aid specialist in about 3 to 6 months. You can learn at your pace from animated audio and video clips, video lectures, voice lectures, text assignments and web sessions with experienced instructors. Pass the hearing aid specialist licensing exam here in Oklahoma in 12 weeks.